The solar energy system at Moshav Bnei Darom was installed on top of the Pickle factory, with a capacity of 625 KilloWatts. This green energy system was installed with highly efficient SunPower panels and PowerOne inverters. The system is in its final stages of installation before connecting to the power grid. 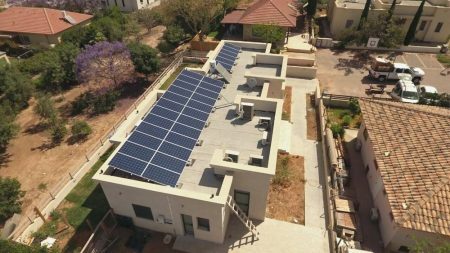 The challenge in this solar system was dealing with a limited roof area, which was designed to accommodate an optimal PV solar energy system. This system is a model for balancing system costs and maximal yield in a given roof space.